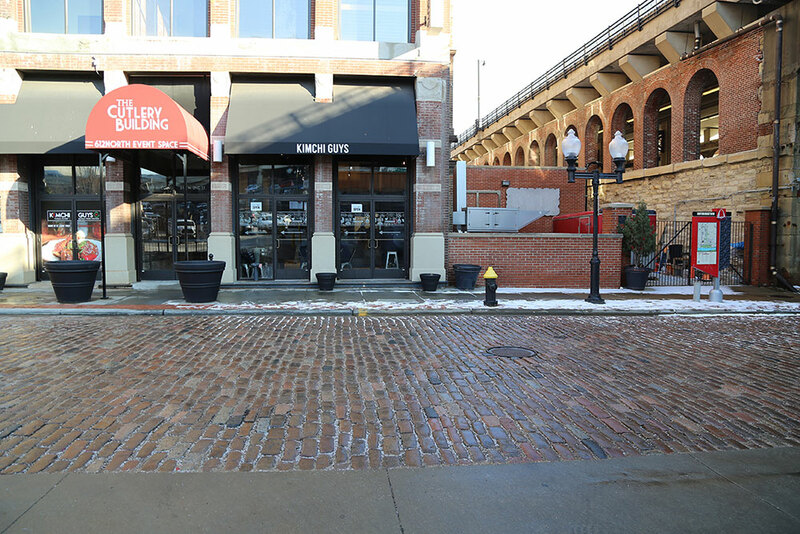 So Hospitality Group president and CEO Munsok So opened Kimchi Guys Friday, Feb. 1, on the first floor of the historic Cutlery Building at 612 N. 2nd St. on Laclede’s Landing in downtown St. Louis. 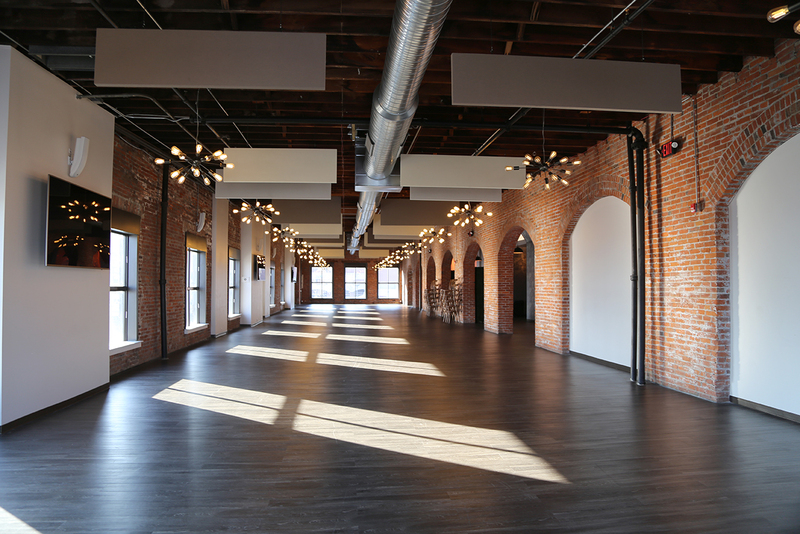 So, who also owns Drunken Fish, bought the Cutlery Building in 2006 and renovated it to include Kimchi Guys, 612North event space, the hospitality group’s home office and upcoming dining and patio spaces on the first floor. He is also working to open Miss Java Coffee next door to Kimchi Guys in late 2019. 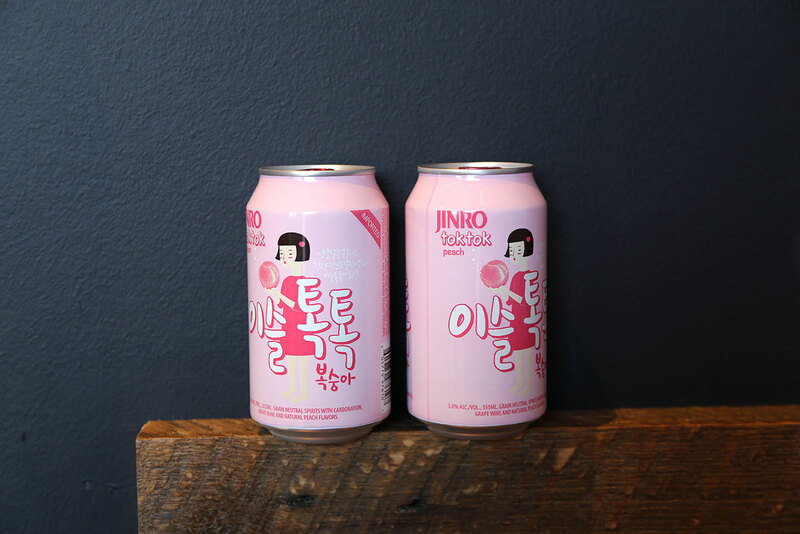 That includes the opening of So’s small Korean-American eatery focused on Korean fried chicken. 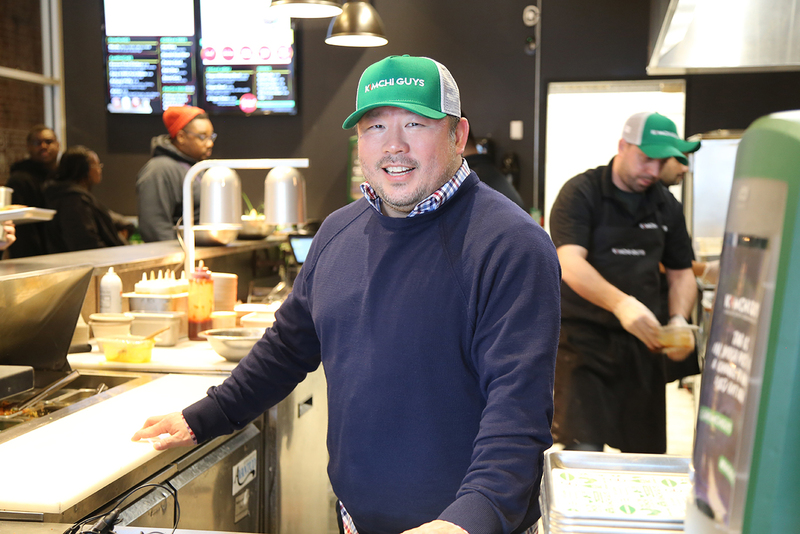 So said as a Korean-American, he’s long had a passion and a palate for the popular dish. A large portion of the menu is dedicated to iterations of the dish, whose sauce options include original, Korean Buffalo, soy garlic and honey butter. 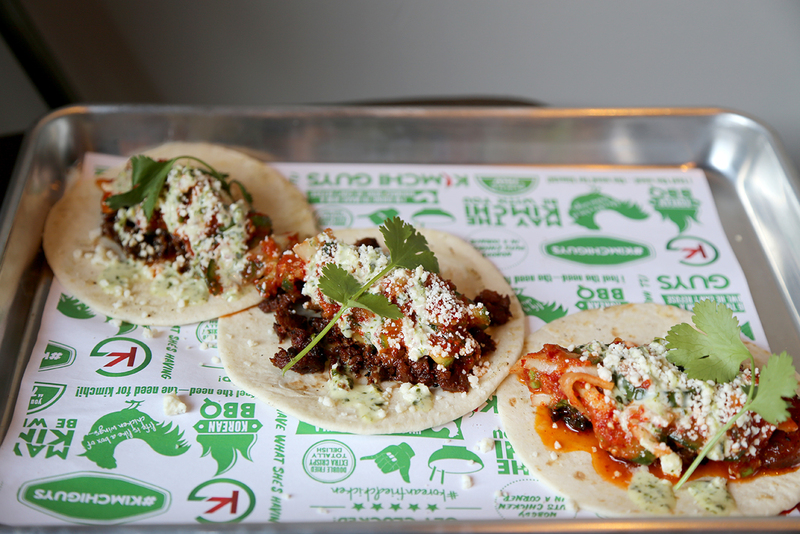 Other staples include bibimbap bowls, dumplings and Korean-Mexican barbecue selections that include Korritos (Korean burritos), Takos and Kuesadillas. 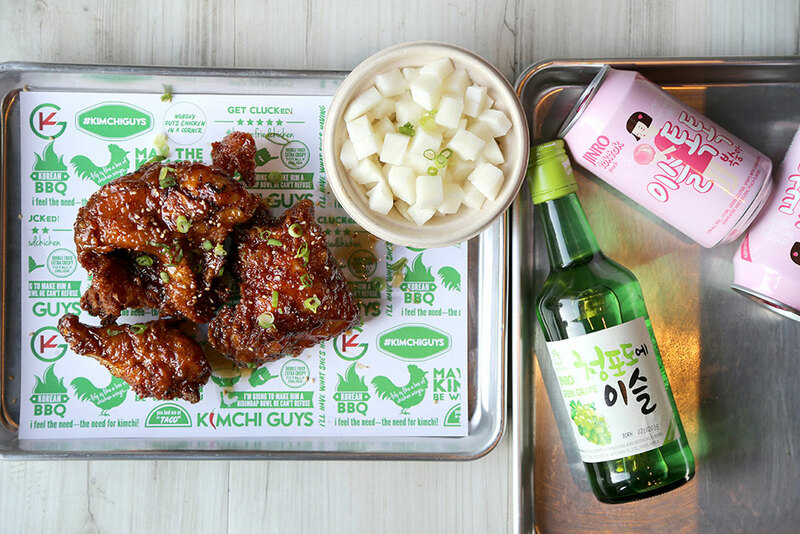 Boneless tenders feature on a Korean fried chicken sandwich; customers can also order a spicy pork sliders, a bulgogi Philly cheesesteak or a Kuban. 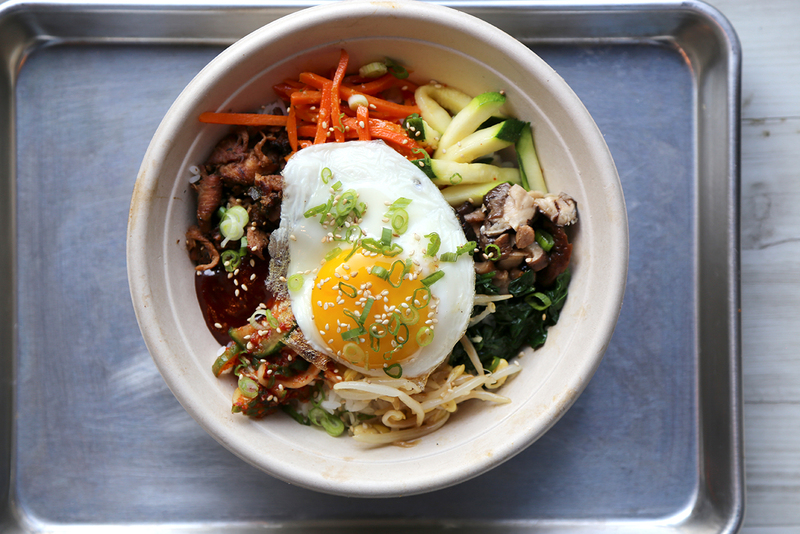 Sides include four versions of house-made kimchi (spicy cabbage, spicy cucumber, spicy radish and white radish), kimchi fried rice, potato salad and more. 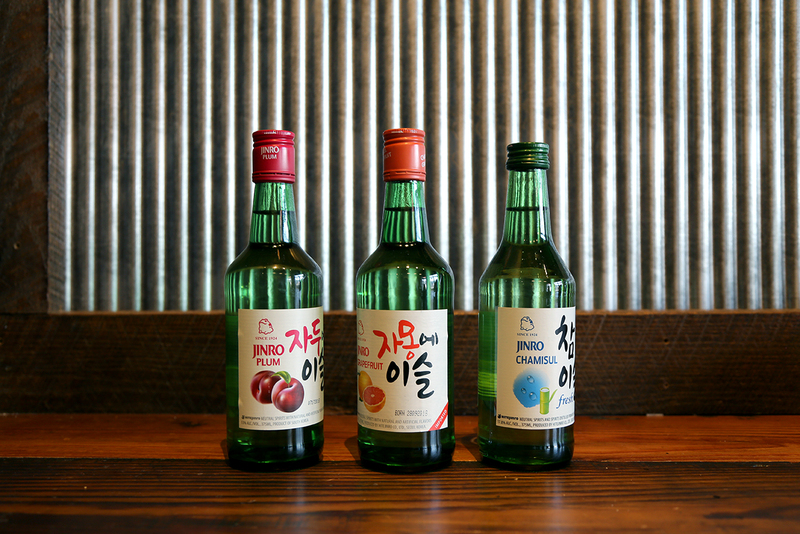 Kimchi Guys currently offers a selection of Korean beers like Hite, as well as varieties of soju. 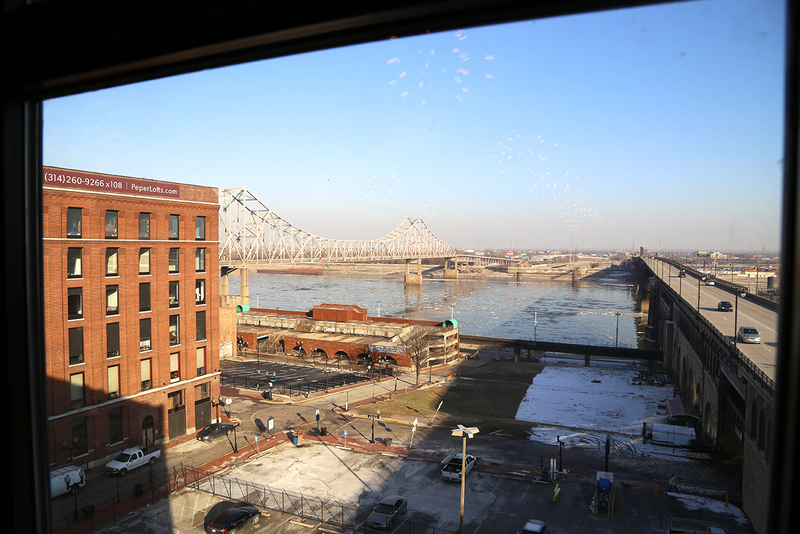 In the future, So said he wants to add local beer from Urban Chestnut Brewing Co., Schlafly and others. Seating is on the conservative side, with just a handful of tables and some bar seating, but there’s also a long dining table in the building’s lobby where diners can eat. 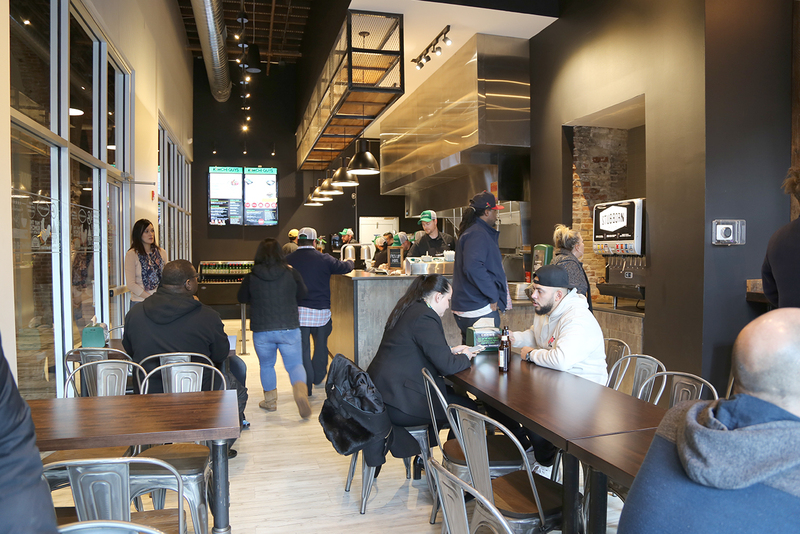 So said he hopes to launch an online ordering system, which will include two kiosks in the building’s lobby where guests can order food and pick it up in the restaurant. 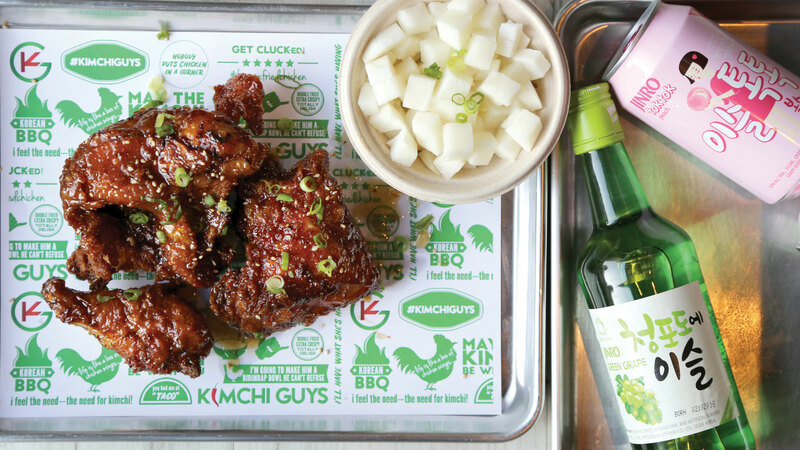 Kimchi Guys is open daily from 11 a.m. to 8 p.m. Here’s a look at downtown’s newest Korean restaurant.